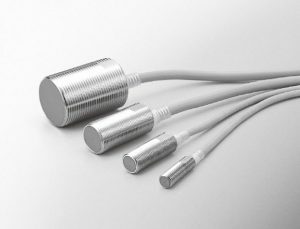 FL7M Series DC 3-wire Type Cylindrical Proximity Sensors. The FL7M DC 3-wire cylindrical proximity switches come in standard sizes and include a special long body M12 version. These sensors are sealed to IP67, have enhanced circuit protection, and have an indicator lamp that can be checked even from the rear. NPN and PNP model variations are available for all sizes and sensing distances.